The shadow of the Earth combined with clouds over Specimen Mountain illuminates the landscape at sunrise in Rocky Mountain National Park. Autumn is now well under way on the high alpine tundra and winter will be settling into the high country very soon. 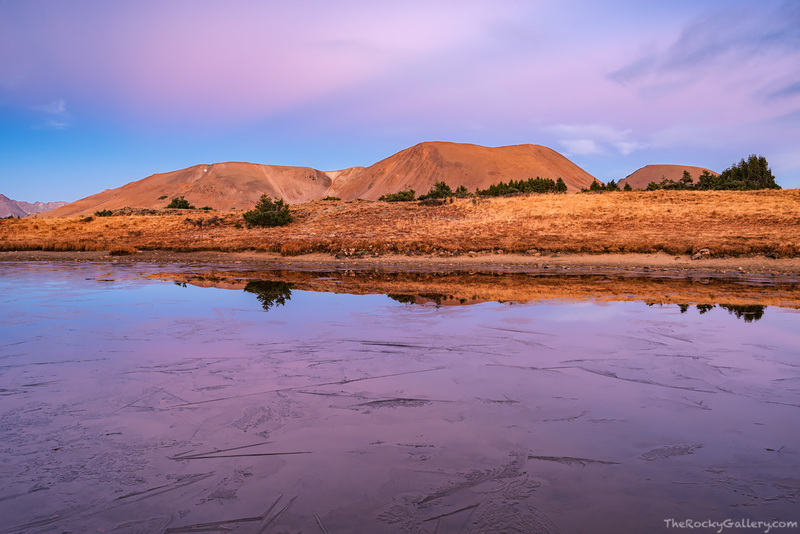 The grasses have turned red and brown and this high alpine tarn has started to freeze over with the cold nights of autumn. Photo © copyright by Thomas Mangan.